Anthony Joshua responds to his promoter Eddie Hearn saying he will look to get a fight with Fury on in 2018. Some massive fights in the heavyweight division look like they could be on the horizon in 2018. A lot depends on what happens next for Anthony Joshua thougj. It is expected he’ll make a mandatory title defence in 2018 next. The only way he’ll likely be able to get out of that is if the governing bodies agree he can make a voluntary defence or if a fight that would be a unification with one of the other champions can be made. Joshua rival and former champion and division number one Tyson Fury has not boxed in two years but all signs are that he will be back in the ring next year. 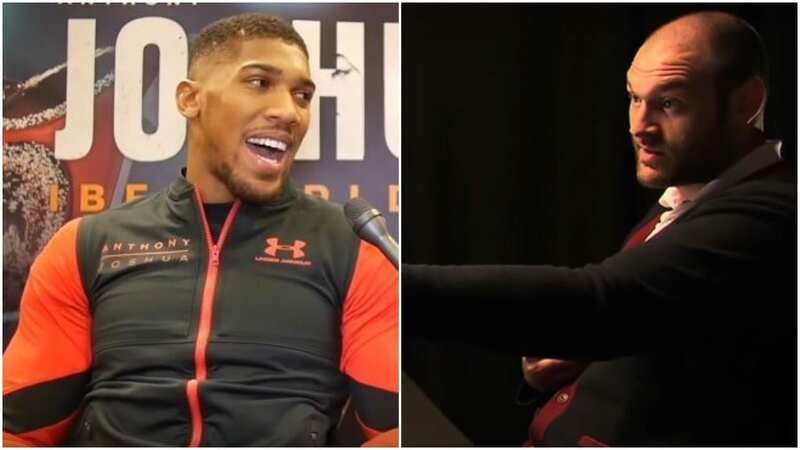 Following the weekend’s Joshua vs Takam fight in Wales, Joshua’s promoter Eddie Hearn said that he will look to work with Fury in the new year in a bid to get a Joshua vs Fury mega fight on. What a fight it would be. Fury never lost his belts in the ring, to his credit. A coming together of both men would surely be one of the biggest heavyweight fights in years. Fury would likely have to have at least warm up first so realistically a fight in 2018 would have to be later in the year, if it were to happen. Add WBC heavyweight champion Deontay Wilder from America into the mix and you’ve got quiet the pool of heavyweight sharks forming at the moment.